Had a great rehearsal for the show on Saturday. It's going to be another fun one. Slept a good portion of the day since I got up early on Thursday to drive out here. Did some work on the project plan for a project at work. Guess that makes sense. A project plan for a project. Hmmm. Well, I needed to update my section of it. Went to bed late and got up early to drive to our Syosset lab. Got there about 7:30am to get some work done. Then drove over to Fire Island to catch a ferry and took my last two afternoon conference calls from the house on Fire Island. It has been very quiet at the Fire Department. Got to bed around 2:30am after the show at The Escape. Then had to get up at 5:30am to pack, shower and get out of the place for my 7:30am flight back to Newark from Portland. The show went well, the pageant was great. It was fun seeing all of my old friends again. My number went ok too. It was a quick trip but fun. The Hood to Coast run was this weekend too so my flight back to Newark was PACKED to the Max. The gal next to me was from Spain and had a 4 hour layover in Newark before flying all night and landing in Spain at 6am local. What a trip. But this was her second time to the Hood to Coast run sponsored by Nike and she loved the area. Flying out to Portland today. The flight was only delayed an hour which is great for afternoon out of Newark. Looking forward to the trip. I am out on Fire Island again. Had a late night situation drill last night with the fire department. Worked from our Syosset laboratory yesterday so was able to get over here for the drill in time to do some prep work for it. Today I am off of work and tonight I have a lecture/drill that I am giving at 7:15pm on Sprinkler Systems. Don't you just feel the tingle in your bones when you hear that? Giggle. Anyway, I have some paperwork to do. My mom is doing well after knee surgery. She had to add some more oil in the new knee to get it to bend all the way but she is home and enjoying being around familiar surroundings. Got a newsletter to write in the next few hours and then I have to head off island for a while to pick up a few things. Out on Fire Island just kicking it. Jeffrey is in Florida so I have the place to myself. Slept in this morning and just have been taking it easy today. Yesterday I was busy at the Fire Department and then on the dock until very late. FIBO was in town last night. 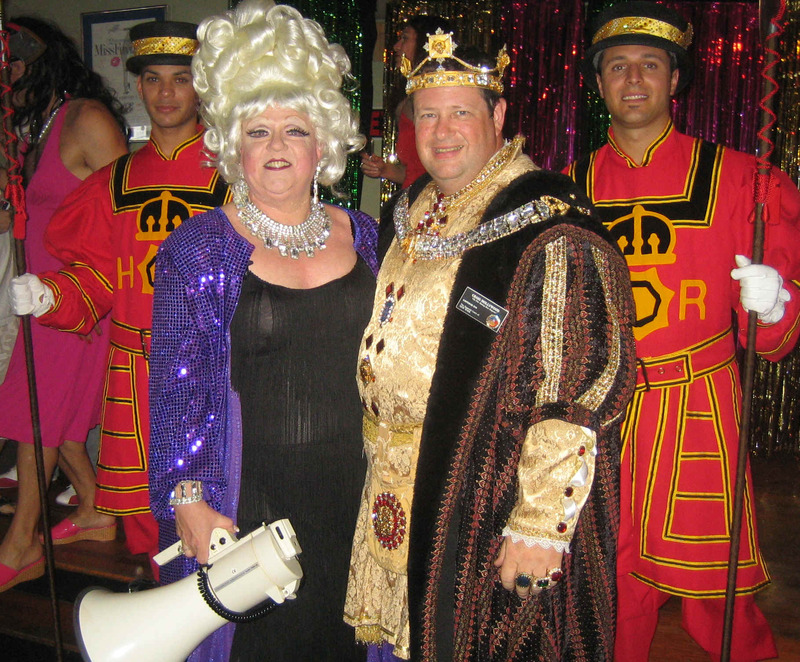 The annual Fire Island Black Out party which brought about 1,000 people to the place. They were very nice but really filled the place up. Everyone seemed to have a nice time. The boats heading out were packed but we got them all on. Just talked with my Mom. She is out of the hospital and back at home. Her new knee is not 100% yet. She needs the tech to add some more oil to the joints so that it will work right. Some guy is coming by to change her batteries on her new bionic knee but she feels like it is a foot longer. I am planning on visiting in early December after being at a convention in Las Vegas. Looking at flights and such. Sure is expensive but having a good time representing New York. Sitting in the San Diego airport waiting for me flight. The plane was delayed getting into Newark and thus left late. It is just now pulling in so will need to unload and then refill. We should be boarding in about 45 minutes I would expect. This will put us into Newark around 1am Eastern. Had a great time here in San Diego. Things went as normal for the coronation. Enjoyed my time here but looking forward to getting home and staying home for the next 2 weeks before flying back to Portland at the end of the month for another event. Here comes another Continental plane into our gate area. One of them has to be our flight that was delayed out of Newark. Yeah, looks like the ground crew is jumping over at our gate. The gate area here is small so I am sitting over at the next gate. This should be a restful flight since I am flying first class back to Newark. I should have no problem falling asleep for a few hours and just relaxing on the flight back. This coming week I head out to Fire Island on Thursday evening for the weekend and then the following weekend I plan to work from our Syosset laboratory on Thursday before heading to the island. Lots of things to work on at work. It will keep me busy for the next few weeks. Had a nice time over in Tijuana today. We got to tour the local Aids Clinic and shelter where we have sent money over the years. The Mexican government gives no money for health care here so it is very different than what we see in the US. Had a nice talk with my mom this morning. She is headed into surgery on her knee Tuesday. She is going to be just fine. Enjoyed talking with here. Now I am dressed and headed out to the Out of Town show here in San Diego. Just waiting on the car to be brought over. Plus a few friends are going with me and I told them 7pm so thought I would update this a bit. I am actually home for 2 weeks after this. Looking forward to being out on the island. Hope the weather is good. Oh, and I updated my events page too. Just click on my reign pin above for details. Here are a few recent photo's. 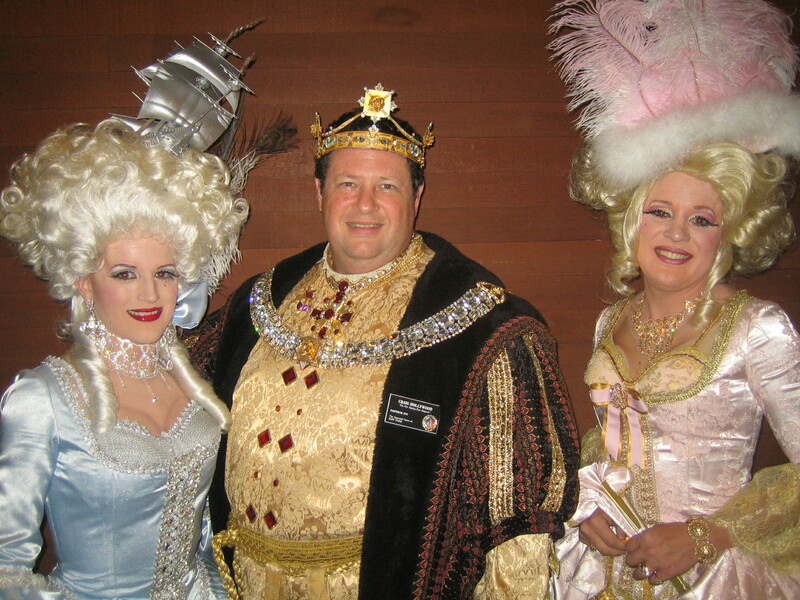 2007 Invasion of the Pines with the founder Panzi and my two Beefeaters Jesse & Kevin Me at the Boise, Idaho coronation July 28, 2007 with two fab Drag Queens from there. Me with those same two drag queens at the Victory Brunch the next day.